First Saturday for Families: Why Make Sense? Join us for a family workshop offered in conjunction with the exhibition “Nicole Eisenman: Al-ugh-ories,” on view at the New Museum from May 4 through June 26, 2016. 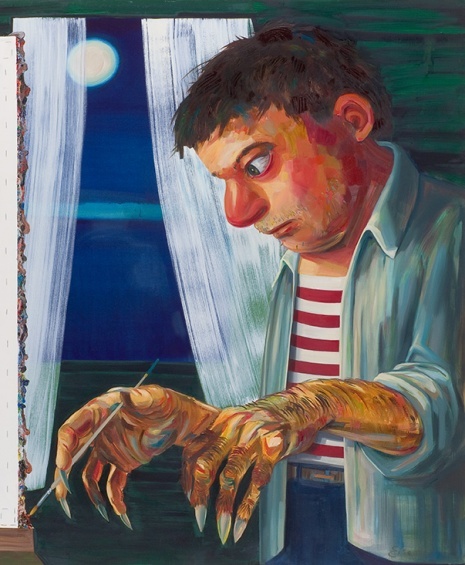 One of the most important painters of her generation, Nicole Eisenman has developed a distinct figurative language that combines the imaginative with the lucid, the absurd with the banal, and the stereotypical with the countercultural and queer. Inspired by the figures in Eisenman’s work as well as the theatrical personae of the late musical genius Prince, families are invited to imagine a world where their roles and identities can become different and new. Participants will create large-scale collaborative drawings while entangling symbols and inventing characters that express the complexity of their unique personalities. Why make sense and be just one thing when you can be a superhero, a mermaid, an alien, and a ballerina all at once?